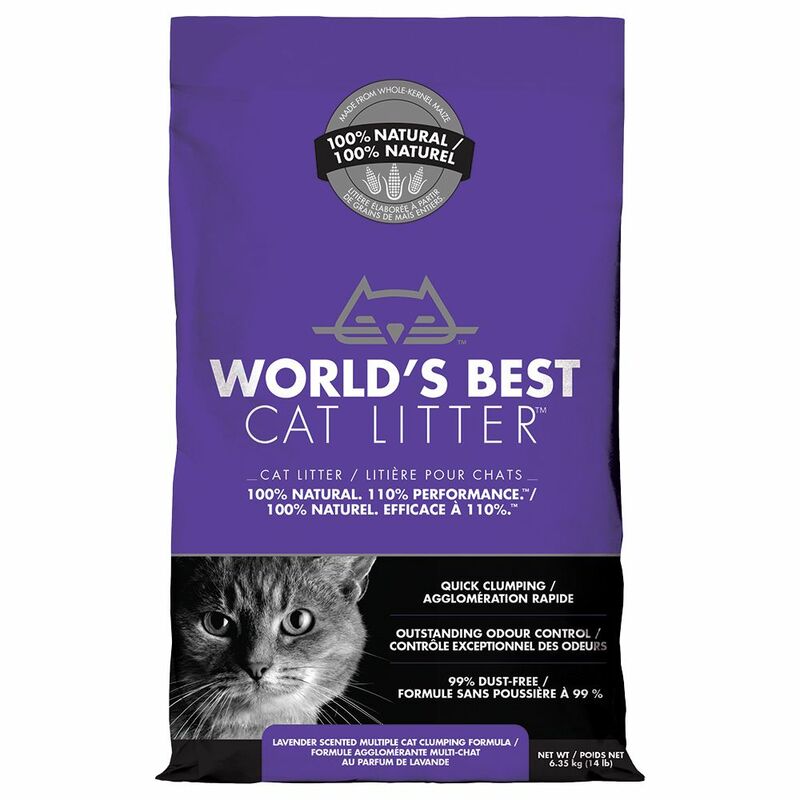 World's Best Cat Litter Lavender is a clumping litter with a pleasant lavender scent. The litter is a natural product made from maize, whilst the lavender aroma comes from natural lavender oil. The litter quickly forms clumps when it comes into contact with liquid and these can easily be removed from the litter tray without falling apart. The fine grains also bind unpleasant odours very effectively, which together with the lavender fragrance ensures that your home environment stays fresh and clean-smelling. World's Best Cat Litter is 99% dust free, which is healthier for you and your cat, and it is also highly economical. Worlds Best Cat Litter Lavender at a glance: Clumping cat litter 100% natural, without any chemical additives Lavender scented using lavender oil, to keep your home environment smelling pleasant Made from maize Efficient odour binding: Locks unpleasant odours inside the litter 99% Dust Free: Comfort for cats and their owners Fast clumping cat litter with clumps that do not break up when they are removed from the tray Very economical. Price just £26.99! Click here to buy now!